​The WeAcademy is the educational section of the WeObservatory, for Women's Health and Technologies. It is composed by WeLearning, with the eLearning courses developped by the WeObsersatory and its partners, WeMOOCs the annual selection of MOOCs on Women's Health and Technologies conducted by our experts, and WeLibrary with the international publications in English, French and Spanish. 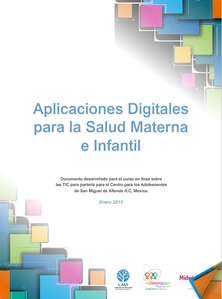 The Library for Women and eHealth aims at providing access to articles and publications related to women involved in eHealth and telemedicine.